It’s been a bit since my last post. Lots of life changes over here in addition to taking on lots of work has unfortunately prevented me from getting a good post up! However, I hope this recipe will make up for it. There are few times when I actually allow myself to keep baked goods in the house. Because, if they are here-I WILL EAT THEM! I mean, I’m human after all! But fall just puts me in the mood to bake. To have those yummy smells of apples, cinnamon and butter all wafting from the oven. Plus, hosting a little brunch means you have to bake. You simply can NOT host a brunch and not have some delectable baked goodie. 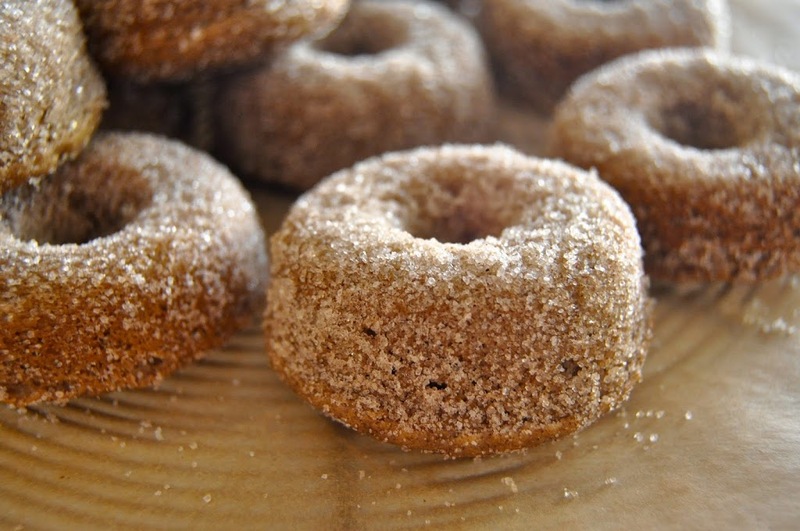 And today’s goodie just happens to be a cinnamon cider baby doughnut. Who can resist that? 2. Whisk together the dry ingredients (sorghum flour, buckwheat flour, tapioca starch, guar or xanthan gum, baking powder, baking soda, pumpkin pie spice, cream of tartar and the cane sugar). 3. In a separate smaller bowl whisk together the melted coconut oil, melted butter, whisked eggs and apple cider. 4. Add the wet ingredients into the dry and whisk for 2 minutes until well blended. 5. 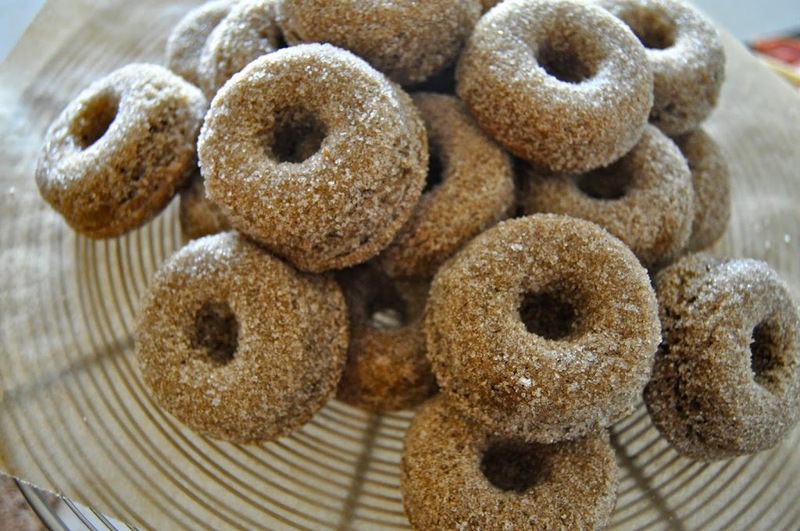 Lightly grease the wells of a mini doughnut pan with melted coconut oil. 6. Scoop the batter into a squeeze bottle, piping bag or plastic baggie (and then cut the tip off, holding upright so it doesn’t plop around everywhere!). Fill the wells 2/3 and place the pan on a baking sheet. 7. Bake for 12-14 minutes until the tops are springy to the touch. Remove from the oven and cool for 3-4 minutes. Gently remove from the pan and immediately coat in the cinnamon-nutmeg-sugar mixture. Serve immediately. *To make coconut free simply substitute your favorite flavorless oil. **To make dairy free simply substitute vegan margarine. ***To make egg free prepare two flax eggs (2 T. ground flax meal + 1/3 c. hot water) and substitute those for the eggs.